Want to rule the road with superior style? What else you can imagine better than Ford Mondeo. Ford, one of the top automobile manufacturers in the world definitely has a set of amazing machines capable to rein the roads and Ford Mondeo is nothing less than any of your choice. Ford Mondeo cars have newly entered into the auto market coming with a new named Ford Mondeo Vignale. You cannot ignore this machine without looking twice over its elegant design and features. Ford has launched this spectacular looking car targeting the sales market of BMW cars, which is known for its class and comfort. Looking at the features and specifications there is no doubt that ford has built this variant to attract corporate and executive class of customers who is always looking for comfort and richness in a car. Its premium stitched leather seats and SYNC 2 voice control with 8” display screen, premium floor mat, interior ambient lights is no way lesser than its other competitors in the market. It has 2.0 Duratorque TDCi 150PS diesel engine with 6 speed manual transmission which gives an extreme power and pickup that enables you to escape out of heavy traffic situation in city as well as in highways. Also with its 18” alloy wheels powered with ABS (Anti-locking braking system) and Electronic stability control and traction control features allows this wild beast to stick to the road even in extreme terrain and slippery weather conditions. There is no doubt that this baby is suitable for all weather conditions. With its heated front seats it will not bother the riders in cold winter season in fact they will be tempted to enjoy the chilling weather with comfort and style. Vignale also comes with front and rear Airbags following all the safety standards along with power child locks and power central single locking systems. Vignale being one of the few variants of Ford Mondeo have lived up to the mark in the category of luxurious sedan. 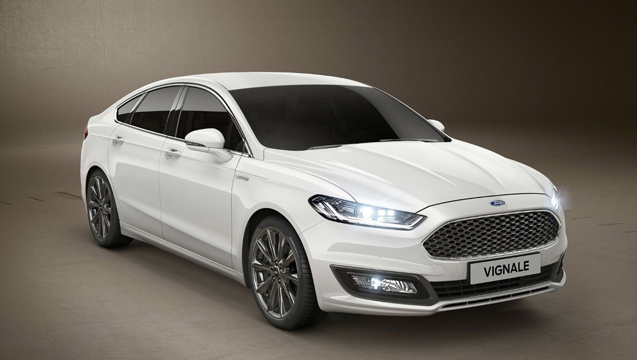 Ford is pretty confident and in a hope that Vignale will make its own fan customers within the span of few years, which it actually deserves to be. Apart from being a necessity, Ford cars can be labelled as the new name for luxury. It is true that luxury comes at a price still, you can manage to have one of your own by opting for used car dealers. There are many such dealers in the market but when it comes to trust you can go for a dealer. Any dealer offers genuine reviews of different cars available in the market and goes an extra mile to ensure you get the best deal. There you will be able to try your hand on used Ford Mondeo Vignale cars, which are well-maintained and in good condition. In short, you can have the car that fits in your budget without compromising on the quality. Buying car is one of the achievements for some but for others, it is living a dream. So whether it is your achievement or dream come true scenario, you must check out Ford Mondeo Vignale for your purchase. You will not be disappointed for sure.